Today we show you a mod that handles various information on your game screen. 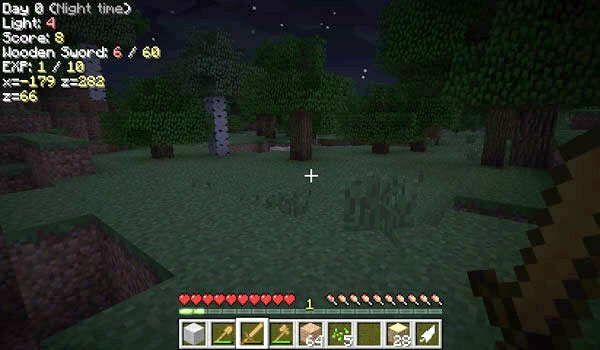 InGameInfo Mod 1.7.2 and 1.7.10 is responsible for modifying the Minecraft HUD, to give you some information, such as resistance remaining for a weapon or tool, you lack the experience to level up, altered effects, coordinating points, level of light, biome we currently are, our fps and other information that we can customize editing a txt file that this mod adds. How to install InGameInfo Mod for Minecraft 1.7.2 and 1.7.10? Paste the downloaded file bspkrsCore, in your .minecraft / mods folder.